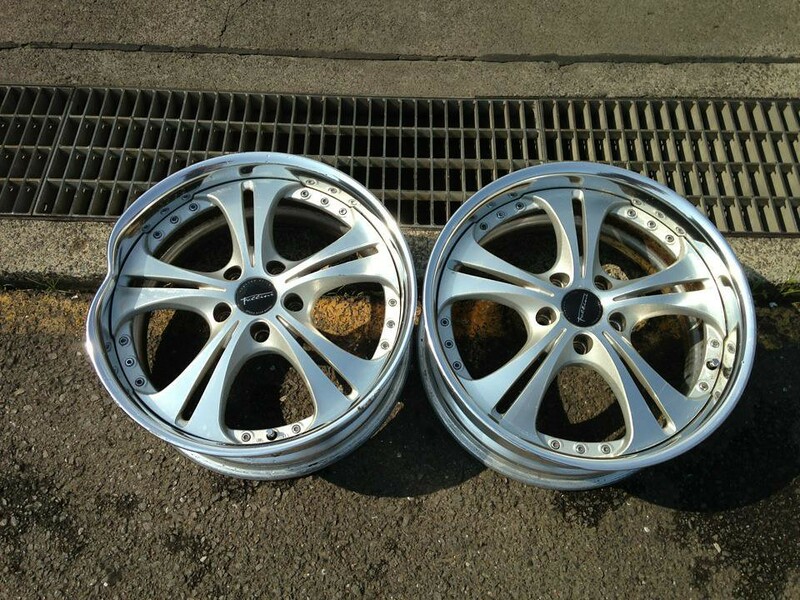 SSR Fellini LS5 2 piece welded resized from 18x7.5 to 18x10! This pair ran $375 per wheel to re-size which includes the brand new 1 piece spun forged barrel, polishing of the entire barrel, and all cutting/welding labor. 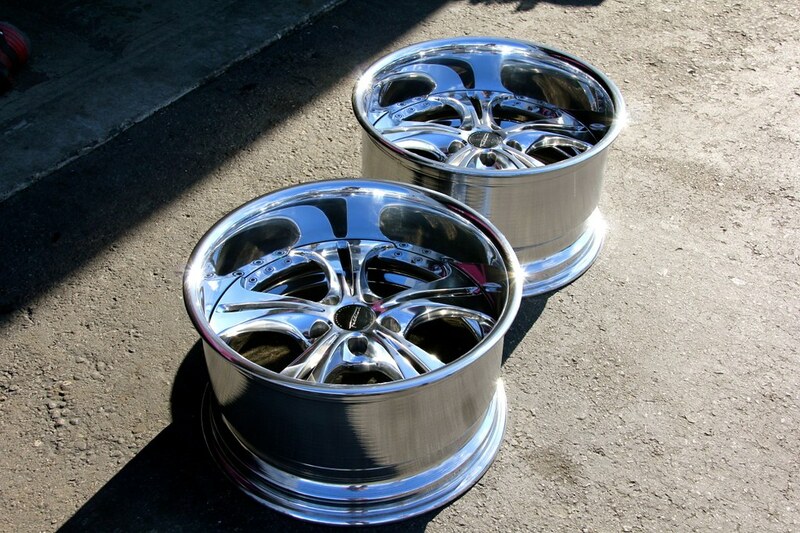 Strip and bright polishing of the centers is $75 each additional. Before, sized 18x7.5 and damaged beyond use. After, resized to 18x10 and given a bright polished finish! Hit that contact page if you're interested or have any questions!